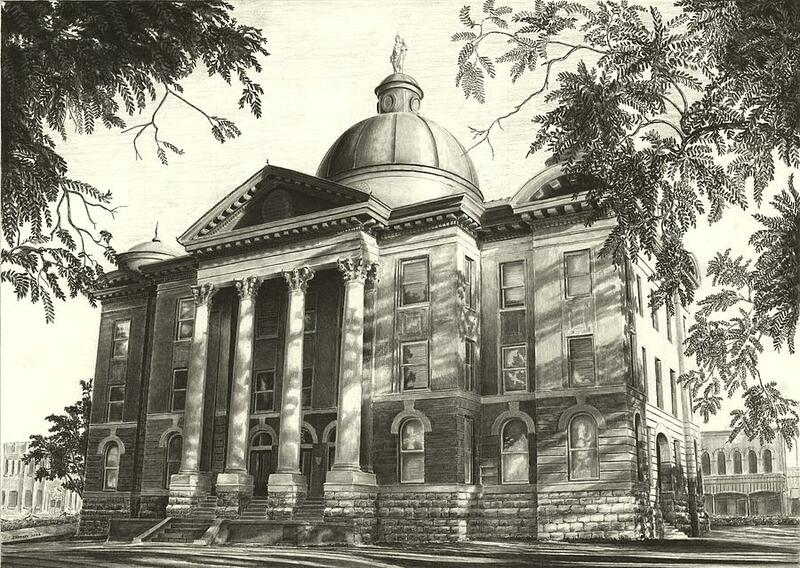 Hays County Courthouse is a drawing by Norman Bean which was uploaded on January 20th, 2013. 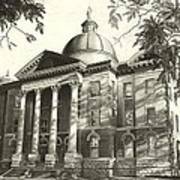 HAYS COUNTY COURTHOUSE, 2013, Graphite on paper. Thank you Ms. Miller. I do enjoy creating these drawings that have a bit of detail in them. No, not a photo. It is a freehand drawing. I went over to observe the building at various time of the day, maybe 15 visits, before seeing the 8:30 am shadows last spring. The sunlight filtering through the trees just made the contrast and depth pop out, details were easy after that. Your sunlight through the wave is nicely done and dramatic. You sure get a lot of comments, sell many prints? 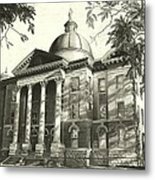 I love the way the shadows caress the columns, brick and stone work. 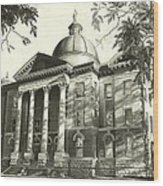 There are many County Courthouses that are worthy of a dramatic drawing. So many and so little time!